Horae Apocalypticae 2015 "The Last Prophecy" was the abridged version authorized by E. B. Elliot himself. The editors of this revised version humbly admit the primary credit to E. B. Elliot and those who went before us in this great work. With great trepidation we have sought to bring up to date the last several chapters hereof with the same method of which we hope Mr. Elliot would approve were he present. 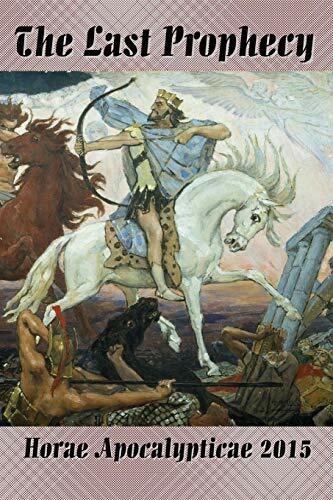 You will come away with a fresh and very compelling view of the Book of Revelation and an overview of the greater work from which the text is derived. "Horae Apocalypticae" (Hours with the Apocalypse) is doubtless the most elaborate work ever produced on the Apocalypse. Without an equal in exhaustive research in its field, it was occasioned by the futurist attack on the Historical School of interpretation.